Property Crowdfunding is one of the fastest growing segments of online investing in the UK, according to Nesta. Property Crowdfunding allows individuals to invest equity into property developments with established small and medium sized developers through online platforms. This article focuses on the 5 key benefits of crowdfunding for property developments. Homegrown specialises in crowdfunding for property development projects. The platform enables SME Housebuilders to raise the equity finance they need to build more homes and offers everyday investors the opportunity to invest in individual development projects (from £500) in return for a share of development profits. Below, we list the 5 key benefits of crowdfunding for property development. Equity investments are linked to the overall profit generated by the property development and therefore compare favourably when compared to alternative forms of development finance, such as fixed rate development loans (including peer to peer), reflecting the different risk profile of the investment. See our article on development financing for more information. As an example, the project at London Fields in Hackney, London has a projected net return of 33.6% over a target investment term of 24 months (project net annualised return of 16.8% after fees). Please note that past performance and financial projections are not an indication of future performance and should not be relied upon. One of the advantages of property crowdfunding for property development finance is that investors typically invest alongside and on the same terms as professional and institutional investors. This may provide investors with additional comfort over the quality of the investment opportunities and level of due diligence that has been undertaken by the crowdfunding platform, other professional and institutional investors and in most cases lenders, that have provded development finance. There is a housing crisis in the UK, driven by many factors, such as increasing demand from higher life expectancy, changing demographics, immigration, government policy and a lack of supply following years of building too few homes. This has resulted in falling home ownership, rising rents and increased reliance on housing benefit. Crowdfunding for property developments will have a positive impact on the housing crisis by providing SME developers with equity finance which is difficult to raise from traditional financial institutions and will allow them to build more homes, create jobs and regenerate local areas. Crowdfunding has made property investment more accessible for everyday investors by reducing the minimum investment amount. It also provides an opportunity for many individuals to diversify their property investment portfolio by project, location and time, which helps reduce their overall investment risk. Investment risk is further mitigated by undertaking a detailed and independent review of each investment opportunity, working with established developers with a proven track record and by sourcing projects where finance and planning has been completed, or is at an advanced stage. 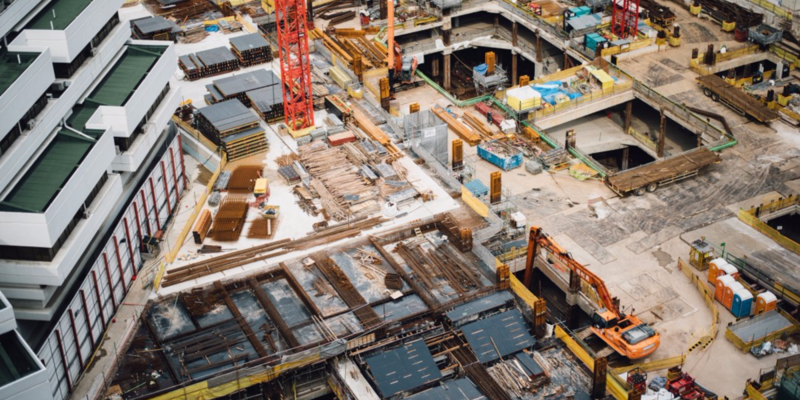 Property development provides investors with an opportunity to be involved in large-scale real estate projects from start to finish, often transforming run-down sites into brand new residential developments. Investors receive progress reports and video updates on each project as it evolves over the life of the investment. Crowdfunding for property developments is an exciting addition to the growing UK Property Crowdfunding sector which provides something different to existing buy to let and peer to peer lending opportunities that are available. Investors retain the existing benefits of crowdfunding (accessibility, diversification, transparency, security) with an additional opportunity to invest in pre-vetted, interesting and high quality projects alongside and on the same terms as professional investors, with the potential to deliver attractive returns and have a positive social impact. To view the latest available investment opportunities, please visit our Investments page.